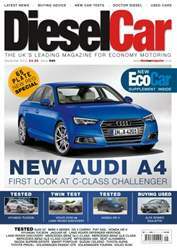 With the new ‘65’ registration plate cars soon on buyer’s driveways, there’s DieselCar’s invaluable guide to negotiating the best deal. There’s hints and tips, dos and don’ts, and advice on extracting every last penny of discount out of the salesman. 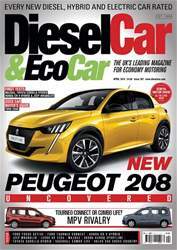 There’s also a fascinating feature on diesel cars that we’re denied in the UK – a run-down of all the diesel delights (and a few monstrosities) from around the world. And there’s some heavy hitting first tests this month, including the ix35 replacing Hyundai Tucson, the segment-busing Honda HR-V, spacious Skoda Superb Estate and facelifted Toyota Auris. We’ve been driving a trio of the latest Mercedes-Benz SUVs, including the Q5-hunting GLC-Class, as well as the M-Class replacing GLE-Class and new GLE-Class Coupé. There’s the first test of Volkswagen’s new Touran and the facelifted SEAT Alhambra, and we test the new Audi Q7 and long-awaited XE on UK roads for the first time. Finally, we’ve been driving one of the final editions of the long-running Land Rover Defender – no sobbing in the back – the Heritage Edition. 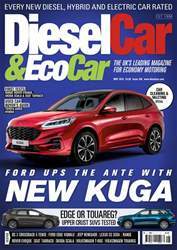 Volvo’s sensational all-new XC90 takes on the leader of the pack, the Land Rover Discovery, in this month’s double-car shootout, and we get behind the wheel of the latest versions of the DS 3 Cabrio, BMW 5 Series, Fiat 500L and Mitsubishi ASX. Over in our used car section, the subject for this month’s used car buyer’s guide is the Alfa Romeo Giulietta 1.6 JTM-2. 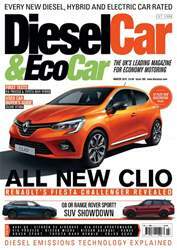 In our EcoCar supplement this month, we’ve got news about the newly updated Fiat 500, a first drive of the Volkswagen Passat GTE Plug-In Hybrid, and tests of the Suzuki Celerio, smart forfour and the facelifted Toyota Prius+.